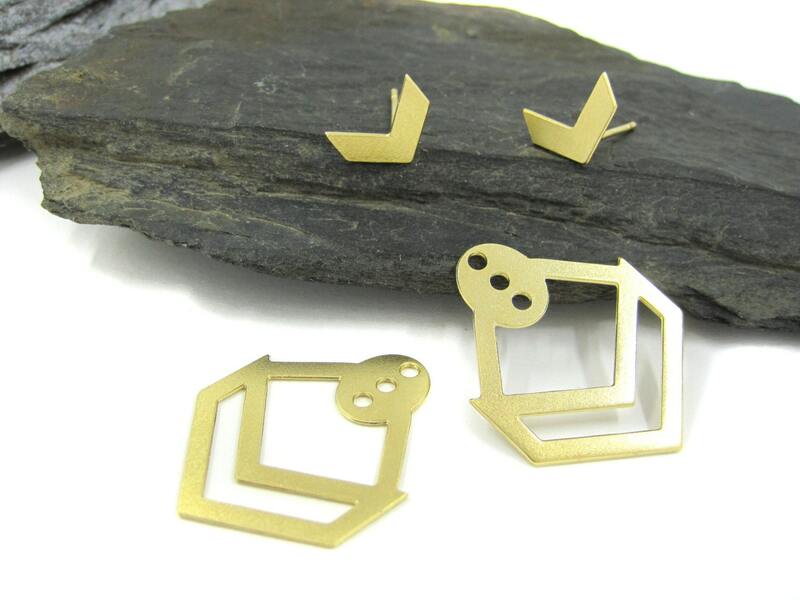 ✦ A pair of chevron ear jacket earrings made of 14k deep gold plated over brass. ✦ Surgical stainless steel studs. ↑ Back earring length: 2.5 cm \ 1"
↔ Back earring width: 2 cm \ 0.8"